The following are the New gTLD extensions being launched for the week. A few relating to real estate, and some having to do with marketing and selling products or services specific to the web. Well, it’s time to sit back and think about these New gTLDs. So I’m going to order a .Pizza, hopefully find some .Deals to my favorite pizza delivery place, then .Click on the button, and worry about getting .Help for my .Diet tomorrow. .FORSALE – this is for selling practically anything…property, merchandise, etc. .NETWORK – Connect with others. .PIZZA – yummm Every pizza business should have this New gTLD. (I love lots of cheese on mine…just wanted to share). .BAYERN– a state of Germany. .ATTORNEY & .LAWYER – a better way to differentiate between an attorney and a lawyer. If you need someone to help represent you in court in regards to the murder you committed, you would immediately want to search for a .attorney. If you just need legal advice on what might happen, hypothetically of course, if you decide to skip the country due to the murder, you would contact a .lawyer. Hey, they are expensive, so you want to make sure you contact the correct one from the start. .CITY – this can be used for any city in the world. A good New gTLD geo. .DEALS – for stores who want to give special savings to their customers. .CLICK – this one could be a tough sell. There are a couple of meanings for this, one being, ‘to fit together’, or by pressing the button on a device in order to make something happen on a computer. Neither has the wow factor. .DIET – a multi-billion dollar industry. Every other person seems to be on one. How about the donut diet? Could be a new trend. .HELP – a large percentage of the public go onto the internet to find help with something. Many possibilities for this one. .HOSTING – good name for a business that provides hosting services. 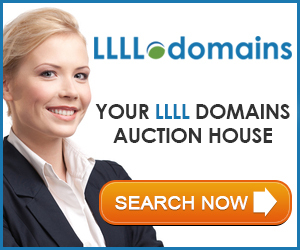 .PROPERTY – another real estate gTLD for buyers and sellers of property. Could also be used as referring to someone’s possessions. my favorites from above domain name list are .deals, .city and .pizza…. cool sounding domains.